Facial injuries in sports present a broad epidemiological distribution, and their incidence and prevalence vary according to the nature of the sports modality, the mechanism of trauma, and dynamics of the sport, which classify them as higher- or lower-risk injury. A facial trauma may result in visual harm, respiratory impairment, and hearing dysfunction and impact an athlete’s psychological balance negatively. 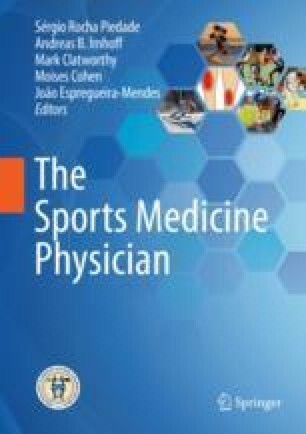 This chapter aims to discuss facial trauma assessment in sports and present the most common injuries reported on facial trauma in sports as well as the initial management of these injuries in the field or sports arena, minimizing the occurrence of significant injuries, establishing the adequate strategy according to the facial injury, and preventing injury.